Welcome to The Paragould Housing Authority where you can find a great space to live! At our facility we offer a variety of housing options and programs for low income individuals, senior citizens and more! Our friendly staff is always ready to help answer any questions you may have and aid you in finding the right living situation for you! At this time the Paragould Housing Authority Section 8 Housing Choice Voucher program is open and issuing vouchers. The Paragould Development and Section 8 programs are taking applications. We have openings in our 2 and 3 bedroom apartments. Check at our front desk for an application or download an application from our website. If you are disabled or have difficulty understanding English, please request our assistance and we will ensure that you are provided with meaningful access based on your individual needs. Si usted es desactivar o tiene dificultad para entender Ingles, por favor solicite nuestra ayuda y nos aseguramos de que se le proporciona un acceso significativo basado en sus necesidades individuales. Haddii aad tahay wuxuu curyaamin ama ay ku adag tahay fahamka Ingririisi, fadlan codsato gargaarka oo aan loo hubiyo in aad waxaa la siiyaa helaan macno leh oo ku salaysan baahiyahaaga shaqsi. 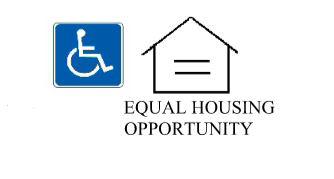 The Paragould Housing Authority does not discriminate on the basis of disability status in the admission or access to, or treatment or employment in, its federally assisted programs and activities. Polly Fisk, EAD, has been designated to coordinate compliance with the non discrimination requirements contained in the Dept. of Housing and Urban Development's regulations implementing Section (24CFR, part 8 dated June 2, 1988).